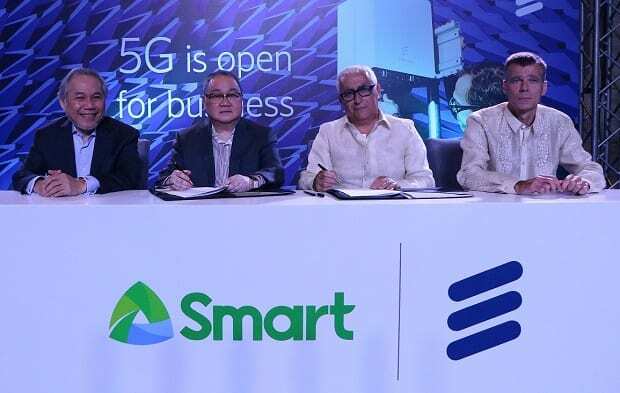 PLDT wireless subsidiary Smart Communications and telecom equipment maker Ericsson have signed a Memorandum of Understanding (MoU) to deploy the country’s first 5G pilot network by the first half of 2019. The 3GPP compliant 5G Trial System that will be deployed in Smart includes Ericsson 5G RAN, Core and Transport solutions. The 5G pilot deployment will allow Smart to explore industry partnership engagements, collaborate with schools and universities, and further develop competence in 5G. “As 5G opens up more opportunities for new services and solutions to offer to our customers, we are investing in future-proofing our network and making sure that our network is ready for 5G,” said PLDT-Smart chairman and CEO Manuel V. Pangilinan. 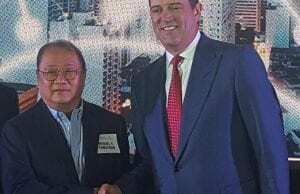 Martin Wiktorin, head of Ericsson Singapore, Brunei, the Philippines, and Pacific Islands, said: “We are happy to partner with Smart to pioneer 5G in the Philippines. We believe first movers in 5G can reshape the market, grow market share and increase revenue streams. Smart has been testing 5G since 2016, when it achieved with technology partner Nokia 5G speeds of 2.5 Gigabits per second (Gbps) using 100 MHz with latency of just 1 millisecond over a ‘live’ network — the first in the Philippines. In particular, the two parties were looking to identify and develop the areas of technological innovation needed to deliver 5G, which is expected to provide the foundation for the digital connected society.